Chemtrails Defense Pack - Life Quest® Formulas, Inc.
A whole body approach to chemtrails defense. Dr. von Peters developed ChemBuster several years ago to get the chemtrails toxins and mycoplasmas out of your system. If you have not seen the ChemBuster website at www.chembuster.us you can take a look at it there. It has been used effectively by our customers, and some have stated that it saved their lives. 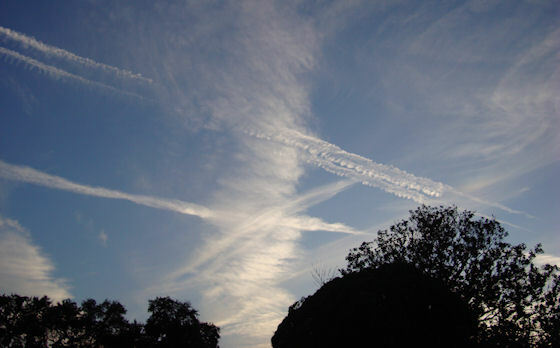 ChemBuster – The only proven remedy for the symptoms of aerial spraying from Chemtrails. One bottle, $27 retail price. Sea-Quest – A proven herbal from Russia that was developed to remove heavy metals and radioactives after the Chernobyl disaster. As it is a special seaweed extract it is a nutritional supplement which also gives vitamins and minerals. One bottle, $38 retail price. Io-Quest – Detoxified iodine recommended by Edgar Cayce to supply the body with this necessary mineral in a non-toxic bioavailable form. One bottle, $25 retail price. Drainage-Quest – Developed by Dr. von Peters to tone up and detox the liver, kidney and spleen and to help prevent Herxheimer reactions due to detoxification. One bottle, $30 retail price. These supplements and remedies taken together will help your body get rid of the effects of the chemtrails spraying and rejuvenate your immune system. Bought separately these will cost $120.00. You can by the Chemtrails Defense Pack for $105.00 – a $15.00 savings over the retail cost. Dr. von Peters has asked LifeQuest® to make this pack available to our customers, so we are notifying you that it is now available.